Stir in the garlic, cumin and red pepper flakes and cook until fragrant, about 30 seconds. Add beans and broth and bring to a simmer over medium-high heat. 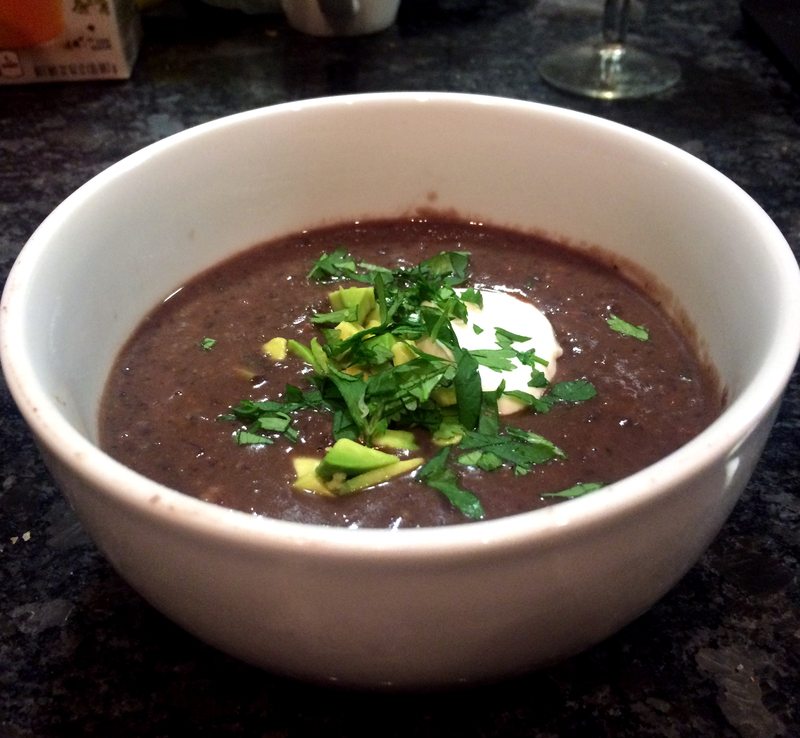 Simmer for about 30 minutes, until the broth is flavorful and the beans are very tender. Use a stick blender or regular blender to puree about 4 cups of the soup until smooth. Return the pureed soup to the pot, stir in the cilantro, lime juice and salt and pepper, to taste. Garnish with with avocado, extra cilantro, sour cream, and tortilla chips.